Leesburg Town Council members will have some competition for their seats come November’s elections. Potomac Station resident Ron Campbell has announced his intention to seek a council seat. The 15-year town resident said being involved in the community is nothing new to him. Campbell was recently appointed to the town’s Environmental Advisory Commission and had served as a previous member of the town’s Technology & Communications Commission. He is also an active member of the Holy & Whole Life Changing Ministries International Church in Lansdowne, which started an outreach called “Faith Has a Voice” to promote citizen engagement. And that—citizen engagement—is the hallmark of Campbell’s platform, he said. “We need to value more public input and doing things in such a way that our community really feels that we work for them and not ourselves,” he said. Campbell cites tapping into the town’s growing diversity, reaching out to homeowners associations and being more inclusive of the business and higher education communities as some areas where the town can improve with citizen engagement. Being involved in his church’s ministry and previously helping out with local campaigns is what prompted Campbell to throw his hat in the ring this election cycle. “The last four to five years it’s always comes down to who’s going to run and how do you find quality candidates. I saw myself as a great worker behind the scenes, but I felt strongly that it’s probably time for me to really get more involved,” he said. Professionally, Campbell has served in a variety of positions in the higher education and financial fields, including as CEO of an international organization dedicated to forging partnerships between higher education institutions and corporations. A recent two-time cancer survivor Campbell now serves in a consulting capacity. Campbell and his wife are parents to four grown children and have two grandsons with two granddaughters on the way. He cites his professional background in creating relationships as reason as to why he would be a successful contributing member of the council. “There are simple things that can be done to engage people to make a difference,” he said. 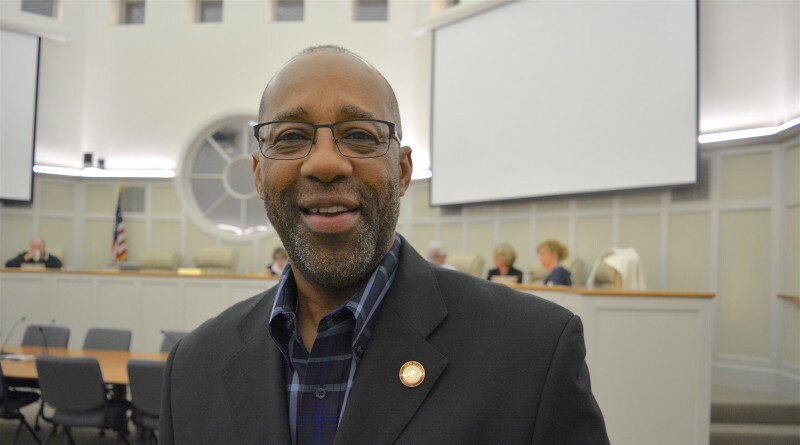 Campbell cites as examples holding a town job fair and garnering resident feedback on what can be done to create more jobs in Leesburg; and also using the town’s new Diversity Commission as a vehicle to reach out to underserved parts of the town. “As a council our work needs to be beyond Town Hall,” he emphasized. Campbell said he is planning an early March campaign kick-off. There will be three Town Council seats on the ballot in November. The terms of incumbents Tom Dunn and Katie Sheldon Hammler, along with the vacant seat created by Dave Butler’s election as mayor, expire Dec. 31.